Viewers gain a unique look into America’s most famous residence when OETA airs THE WHITE HOUSE: INSIDE STORY, a two-hour documentary about the rich history of the White House, on July 12 at 7 p.m. CT. [View Clip] THE WHITE HOUSE: INSIDE STORY takes viewers on an intimate behind-the-scenes historical tour told through the first-person stories of First Family members, former employees, historians, members of the press and a rare informal interview with President Obama inside the Oval Office. 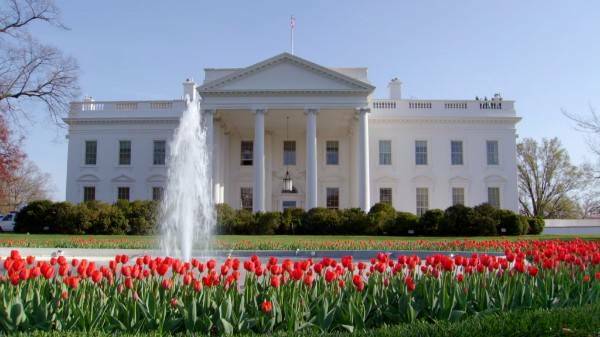 Through current-day filming combined with stock footage and still photos of past presidents, their families and staff, viewers will experience the precision with which the Executive Mansion operates — as a private home and a workplace where military and economic decisions shape and affect history. THE WHITE HOUSE: INSIDE STORY was produced and directed by Peter Schnall of Partisan Pictures. It was co-produced by Margaret McEvoy, with Whitney Johnson serving as coordinating producer. Hinterland is noir crime drama set in the scenic, centuries-old town of Aberystwyth, Wales. The area is a natural crucible of colliding worlds - a place where history, myth and tradition come face-to-face with modern life - but its panoramic vistas and quaint facade hide a multitude of sins. Into this realm steps the enigmatic DCI Tom Mathias (Richard Harrington - Poldark), a brilliant but troubled man on the run from his past. Together with his equally intelligent and complex partner DI Mared Rhys (Mali Harries- Foyle's War), Mathias tackles mystifying murder cases that take viewers from the windswept sand dunes of the Welsh coastline to the badlands and beyond.